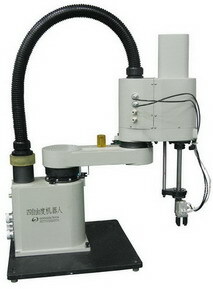 The newly series 4DOF Robotic Arm by Googol Technology not only maintains the characteristics of an educational platform, but also adds new features for industrial environment. It provides a completely open, innovative experiment platform for the mechatronics, manufacture automation and automation control and other related courses for the technical institutes. It can be applied in the Machine Manufacture and Automation, Mechanical and Electronic Engineering, Machine Design and Theory, CNC Technology, Robotics, Automation Control and other related Mechanical and Electrical Control fundamental experiment courses.